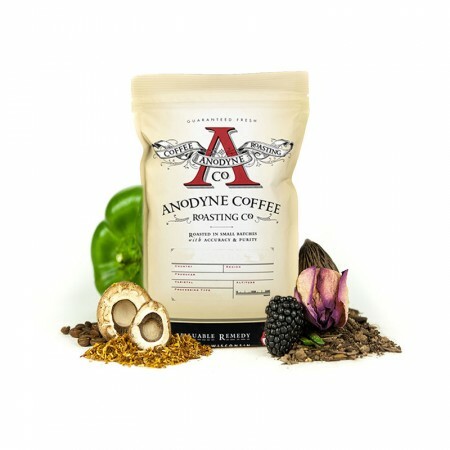 The Sumatra Takengon Ketiara was carefully roasted for you by Anodyne Coffee Roasting Co. This Fair Trade and Organic certified coffee was sourced from the growing region of Aceh in Sumatra and was produced by the Ketiara Cooperative at 1,200 - 1,600 meters. We like this coffee for its earthy and herbal notes and its full bodied character. A little sour for my taste. It was very bitter, at least this batch, and we were not a fan of it. Disliked this one. Boring, tasted like dirt. I love this coffee. It's smooth, full bodied, and to my taste has great flavor. I look forward to my morning cup. Enjoyed the herbal and earthy notes. Great coffee. We've loved everything from this roaster before...and this didn't disappoint! I've never tried the coffee from Sumatra before, and it might be the last time I did. It's very smokey and savory. too earthy for my taste. But an interesting coffee experience for sure. I really enjoyed this coffee. It was excellent as both a french press and a V60. I really enjoyed the earthy notes. It seemed like a bit lighter roast than other sumatra's that I have had, but I really enjoyed it. I would enjoy trying other coffees with similar notes as this one, as well as other coffee from this roaster. Not so good. I drink espresso-strength coffee made with my Aeropress and that normally works well, but this coffee was just too harsh. Usually it mellows out after a few days but this one doesn't. I tried drinking it as Americano and it wasn't so harsh then, but the taste wasn't that great. Yesterday morning I poured half the cup down the drain and went out to buy beans I like from a local roaster, and got a triple espresso there while I was at it. More acidic and lighter roast than I typically like. Flavor was good though. Lacked the strong flavors on the front end flavors I enjoy and had a particularly displeasing backend/after taste. Did not sit well with my stomach at least initially. Better than the first shipment. This coffee has an interesting character. Smooth with a hint of disharmony. This is a coffee I might actually buy again.